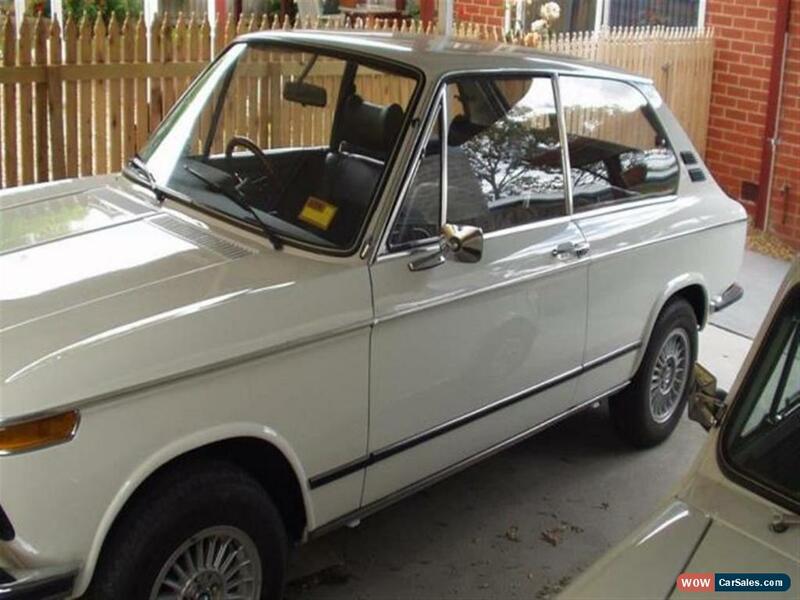 Please contact me only at : misspocricun7286@yahoo.com FOR SALE RARE OPPORTUNITY 1973 – BMW 2002 TOURING Unique opportunity to own this fully restored 1973 BMW 2002 Touring, one of a total of 1,876 produced worldwide over the life of this beautiful fastback and only 339 of the ‘73 model – with understandably very few in Australia. The quality of this renovation is hard to match. The 2002 Touring is practically a BMW 2002 with a large hatchback. BMW built this sportive fastback using the same successful 2002 base and front paneling. This white model has the standard 2L 100 bhp, 4-speed manual but is about 8” shorter than a standard 2002, yet offers a huge hatchback, split rear seats with a totally flat floor – and a beautiful line, reflecting its sportive nature. Competitors copied and refined this original design, from which hatchbacks evolved and were successfully marketed by the Japanese and other car makers, but the hoped-for success within BMW was never achieved. After a long search, the present Melbourne owner purchased her from people who drove it daily in Sydney over some years. A full bare metal restoration followed [receipts and pictures available] including re-carpeting, reupholstered dash and chairs, overhauled engine and ALL rubbers under the car renewed, new chrome strips, window rubbers and of course respray. The project has come to a standstill due to illness of the owner. Serviced by same mechanic since arriving in Melbourne, this car is road-worthy compliant and presently on Club Plates Meet Betty who seeks a new home and owner who will care for her in the manner she is accustomed, and incidentally she has about 102,000 km on the clock! A CD is available on request with pictures & receipts of all professional renovations done, the original pictures as the car was bought, showing the detail that has gone in to this project. All we seek is to recover the cost that has been put in to this unique car. We want to pass the joy of owning this very rare vehicle to a BMW lover, collector or person that just can appreciate one of the most beautiful lines ever designed. Only offers above $20K will be considered for this rarity. 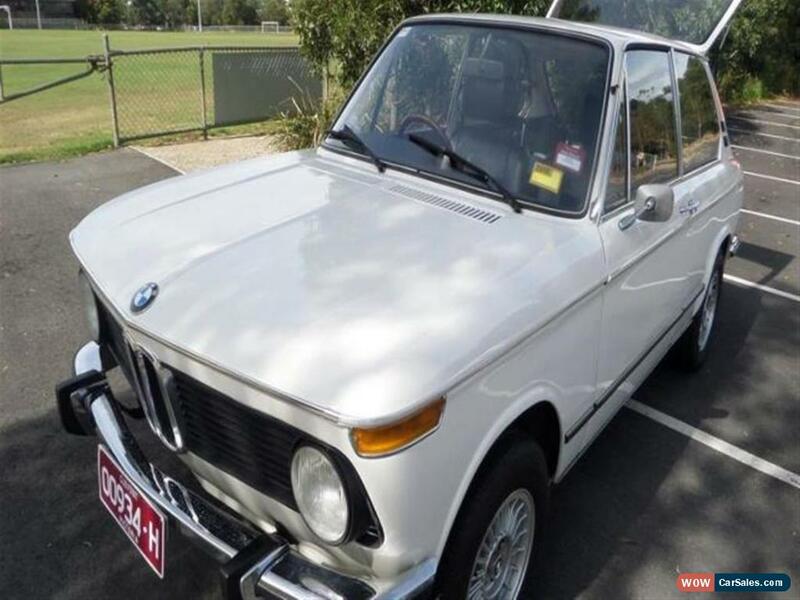 Total BMW 2002 / 2002 TII Touring produced worldwide between 1971 and 1973, 14,980 – with a total 1876 RHD and only 339 of the ‘73 model with ID 3 468 001 to 3 480 339 and this one is part of the last 339 produced worldwide. The car sale will be handled by the Victorian BMW 2002 Club founder and 2002 specialist and enthusiast on behalf of the owner.